When the USB Type-C interface was introduced several years ago, it took quite some time for the industry to adopt it, which is why makers of USB flash drives have been offered products featuring both USB Type-A and USB Type-C connectors. 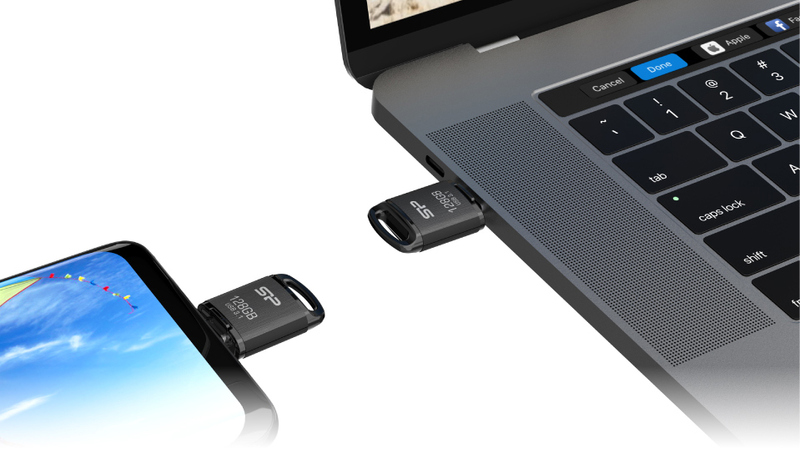 As the new interface is becoming a de-facto standard for new smartphones as well as PCs, manufacturers of USB drives are starting to make USB-C-only products. Silicon Power is one of such companies with its new Mobile C10 drives. 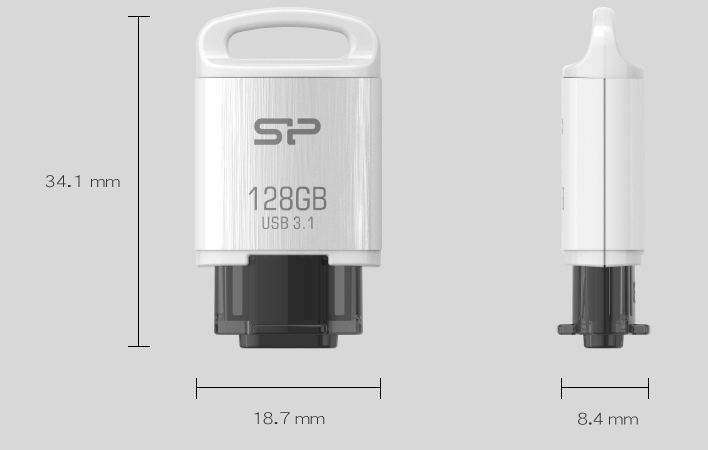 The Silicon Power Mobile C10 flash drives come equipped with 16 GB, 32 GB, 64 GB, or 128 GB of unknown NAND flash memory. The drives feature a USB 3.0 Type-C interface supporting up to 5 Gbps data transfer rate, but the manufacturer does not disclose exact performance numbers for its new USB drives (partly because sequential read/write speeds depend on capacity and other factors). The Mobile C10 USB flash drives from Silicon Power are compatible with all modern PC operating systems, including Apple’s MacOS, Google’s Chrome OS, Microsoft’s Windows, and various flavors of Linux. On the mobile side of things, they can work with Google’s Android with OTG support. Owners of the drives can also download the SP Widget Security Software (for PCs) as well as Recuva File Recovery program. Measuring 34.1×18.7×8.4 mm, the tiny Mobile C10 flash drives weigh just about 3.2 grams and can be easily carried around on a keychain (granted, there is a hole for that). To protect the USB Type-C connector, the drives are outfitted with a retractable cover that shelters it. Silicon Power says that the storage devices are also built to protect against dust, vibration as well as water and can operate at temperatures between 0°C and 65°C. Silicon Power’s Mobile C10 flash drives will be available in the near future. Retail prices will depend on the region as well as on global pricing of NAND flash memory.